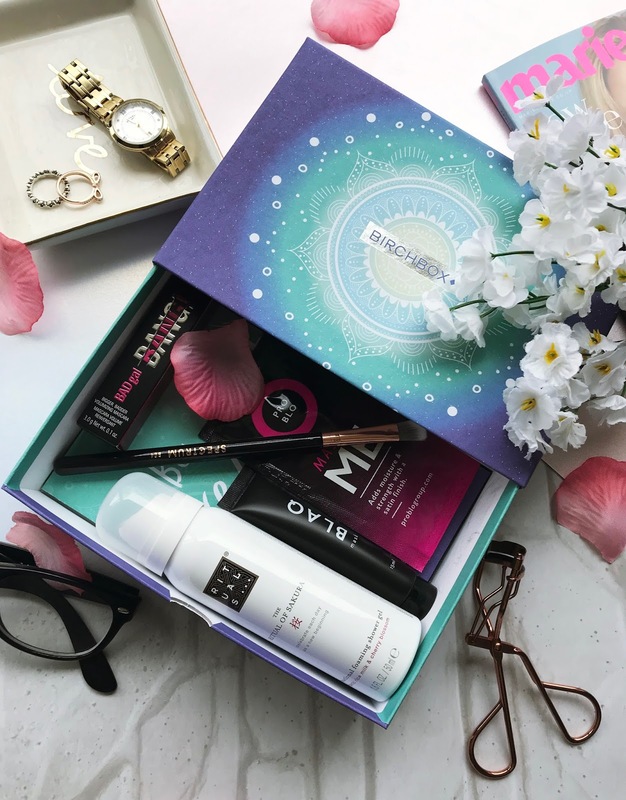 I have recently been very interested in different Beauty Boxes and was trying to decide for ages which one I wanted to get and I ended up deciding with Birchbox! I haven't tried beauty boxes before because I always had the though that you only got random bits that you'll never use but with my March Birchbox it showed me that this isn't true! When I eventually decided on Birchbox I decided to go on their website to investigate. It was so easy to order my box and fill out the small questionnaire about my skin and hair. I ordered my box on a Sunday and it was delivered that Wednesday! 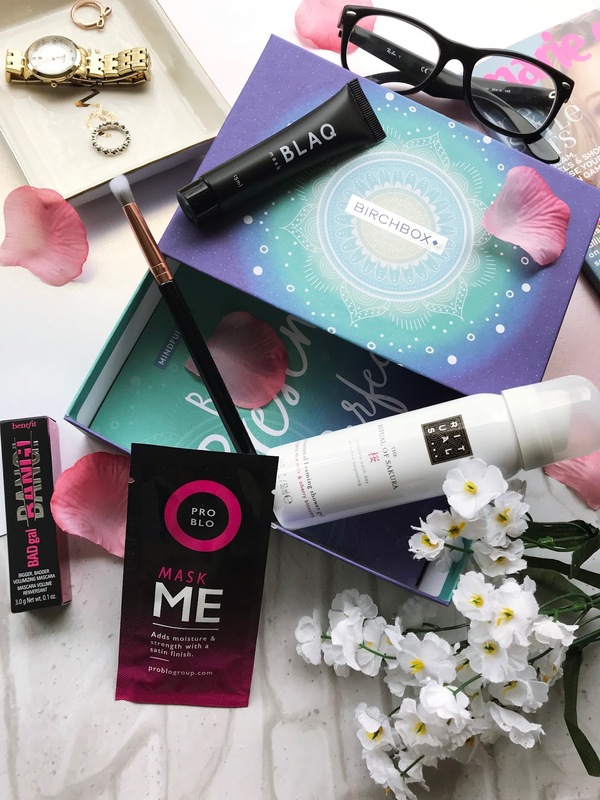 With Birchbox (I'm not sure about the other beauty subscription services) it is only £10 a month and a small delivery fee for 5 products, you will usually get a mixture of body care, skin care and makeup items in each box. If your interested visit their website for more details! You can also have 10% off the full sized options from your months box! 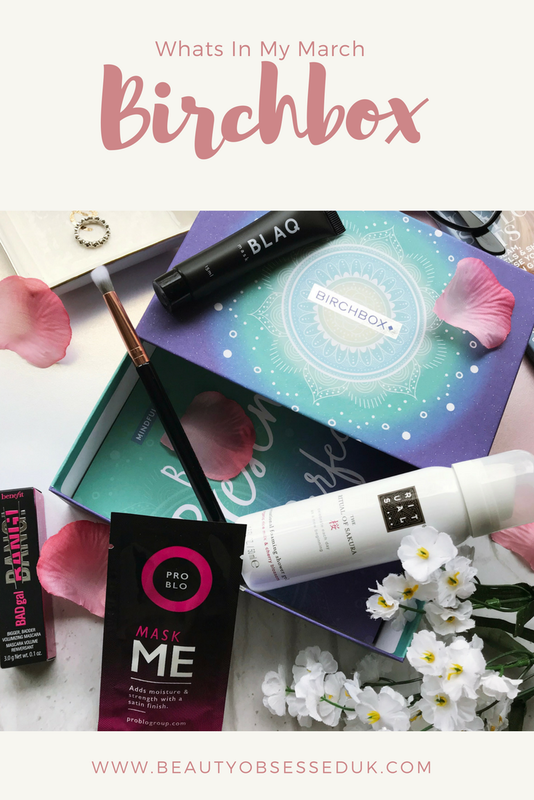 Whats in My March Birchbox? I dont think I have ever used a product like this before. I was expecting something a little different from this product but I was pleasantly surprised! I was expecting the product to come out like a moose but it comes in a gel formula and then as you rub the product in it turns into a foam. I also didn't realise how little product you actually need (a little goes a long way!). The scent of this product is so fresh and it leaves you feeling nourished. This is a product that I would buy again! I have always wanted to try Spectrum brushes but never got round to it (I guess it really does get you to try new things) and now I can try it out. This angled brush is perfect to easily blend out eye shadow in the outer corners of the eyes. I haven't had the chance to try this brush out yet but its synthetic hairs will help me to apply my eye shadow perfectly. When I was filing out my skin type on the Birchbox website I put in that my skin can be quite oily and I got sent this peel off mask which claims to unclog pores, destress your skin and freshen your completion and this is everything I want for my skin! I love masks that are easy to apply and easy to take off which this mask seems to be. I'm excited to try this out and see my skin get renewed. This was the product that I was most excited about when I knew I was getting it in my box, for the past month I have seen this mascara being reviewed everywhere and was so desperate to try it! When I did I absolutely fell in love. It separates your lashes and thickens then without them looking too clumpy (which I hate!) I will definitely being getting the full size version! My hair is very all over the place, its naturally curly and I usually wear it straight just because I work a lot and I dont have the time to get my hair looking perfect at all times. This product is to protect your hair before blow drying which is a must if your hair is always being heated. I haven't used this product yet (because I haven't washed my hair yet dont judge me) but because I bow dry and straighten my hair this product sounds perfect for me. I am so excited to try the bits I haven't tried yet and continue using what I have tried out! I also cant wait for next months Brichbox and share with you what I got and what I love from the box! Do you subscribe to any beauty boxes?